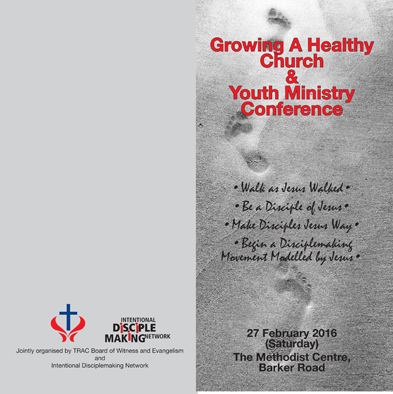 Date/Time - 27 Feb (Saturday), 9 a.m. – 5 p.m.
Join this conference for a biblical framework to lead your church and youth ministry to health the same way Jesus led his ministry, and align your heart and life with the priorities of Jesus and experience the joy and challenge to walk as Jesus walked. You will discover how Jesus created a movement of multiplication, four distinct phases in Jesus’ life and ministry, nine foundational priorities of a disciple-making ministry, why our ministries exist and what our ministry goals are, and more. 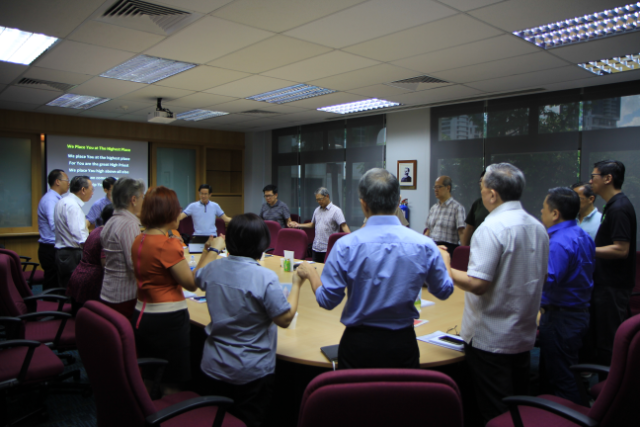 Organised by TRAC Board of Witness and Evangelism and Intentional Disciplemaking Network.